Does your company provide relevant, evidence-based, unambiguous, easily-accessible product and/service information? Pukka means ‘authentic’ or ‘real’ so, of course, we are committed to giving honest and accurate information. 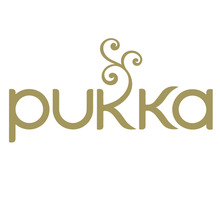 One of our great frustrations is that because medicines and health claims regulations limit mentioning benefits we are often prevented from telling our Pukka community the whole truth about the wonder of the plants that we blend into our teas and Pukka Organic Wellbeing. We believe that ‘evidence based’ is a broad term that includes traditional insights as much, if not more than, double-blind placebo trials. Nevertheless, clinical trials on many of our ingredients have suggested that they have health benefits e.g.nettles for allergies that we use in Clean Greens. A deeper look into the clinical-evidence for many commonly used herbs can be found here. Our main portals into the outside world are our website, trade catalogue, training manual, social media and our packaging. We know that our customers also want to know the story of these creations, so we describe the origin of the herbs (e.g. "handpicked from Fairtrade smallholders in China") on our tea cartons We use 1.2mm font for our product labels which makes them easy to read. The information is structured so that mandatory information is easy to navigate using ticks, tables, and bold font. We provide information not required by food legislation including the breakdown of ingredients in composite ingredients and precautionary advice for pregnant women. Our cartons direct customers to our FAQ on our website for further information. We give the usual helpful information including the price, quantity, returns and delivery policies, certifications and properties of our Pukka creations. We love providing on-site training and other materials for our trade customers and promote this in our trade catalogue. Our sales team include trained herbalists, naturopaths and a nutritionist who are passionate and knowledgeable about the herbs we use and communicate with our trade customers in ways that meet their individual needs. Every other year, we invite our main international distributors to a 2 day training event to make sure they are up-to-date with our offerings and have the opportunity to discuss their requirements face-to-face. We make an effort to understand the values of our customers and work together to achieve our shared goals. For example, we not only provide product information, but also information on our sustainability performance to help meet the targets of our trade customers. We celebrate our success together and for our 10 year anniversary, we invited our main customers to our company-wide celebration event. This gave them the opportunity to meet all of our team and understand our business better. Because we wholeheartedly want our customers to be completely happy we operate a ‘No quibbles’ money back guarantee which is clearly indicated on the “my cart” section of our website prior to payment (note that there must be goods in the basket to see this). We also advise customers of the free delivery option (when spending over £35) on the same webpage. Delivery costs are clearly stated on the checkout page and the total amount to be paid is clearly broken down. The customer may review the order at this stage and amend or cancel as desired. It's easy to get in touch with us as our contact details (phone and email) of our customer services team are also clearly displayed on our website and catalogue. We do our best to respond to customer emails requesting product and service information within 24 hours and provide training, including apprenticeships, for customer services team members to ensure that they have the skills and information available to communicate effectively with our customers. We always make sure that we have a qualified herbalist on the team and, at the moment, one of our customer services team is a Member of the National Institute of Medical Herbalists. We are here to learn and so we strive to continually improve our communication with our customers and a service review is currently being undertaken by our customer services manager. We value the feedback given to us by our customers and other interested parties and use it to inform product development and service improvement. When information regarding price, quality, services and products is not available, it is impossible for customers or clients to make fully considered judgments about the goods and services they purchase. As such, it is generally considered to be a basic responsibility of a business to provide essential information about its products that is easily-accessible, reasonably complete, not confusing and stated in plain and understandable language. When selling products and services, certain core areas are generally covered by consumer protection law. In the UK this includes safety, pricing, weights and measures, descriptions of products and services, the contract between a buyer and seller, competition between businesses, intellectual property and counterfeiting. Businesses that are selling services, to individuals or other businesses, have further obligations and some sectors are more tightly regulated than others. For example, under UK law, the main features of the service being offered should be explicit, if not already apparent from the context. Generally, if the price is not pre-determined, a business must be able to supply a detailed estimate so that a client can use the proposed method to calculate the cost, check the figures and arrive at the price. Service providers may need to provide the terms and conditions used, including information on any contract terms that are governed by the law of a particular country ('the English courts have jurisdiction' or 'this contract is governed by Scottish law'). Further, as an after-sales guarantee may not be imposed by law, it is best practice to make clear whether such a guarantee exists or not. When working within a regulated profession, best practice dictates that details of the associated regulatory regime be clear. Sometimes, professional liability insurance or a guarantee is a legal requirement. When so, information about insurance cover, contact details of the insurer and territorial coverage should be available to the client. Often, the professional body will provide additional complaint and dispute resolution services to help the public make complaints against professional members and this information might also be made available to clients. However, consumer protection legislation is not exhaustive. For example, the consumer group Which? has campaigned for many years to ensure that health claims made about an increasing number of foods and food supplements are supported by verifiable evidence. This has been an EU regulation since 2006 but the list of verified claims is still to be agreed. Even when it is not mandatory, therefore, good practice suggests that businesses should make certain that service information and product labelling provides relevant and fair information. Ideally, any claims that are made about a product or service will also be supported by factual evidence and not be based solely on the opinion of the manufacturer or service provider. Insufficient, inaccurate or misleading information can damage customer confidence, risk legal challenge, introduce health and safety risks and threaten business reputation. Pukka Herbs answered Version 1 of this question. It has since been updated to Version 2. View a side-by-side comparison of the changes to the question here.